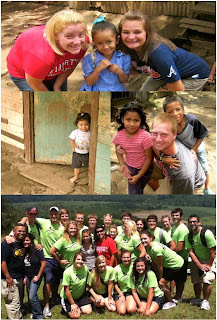 Twenty-one GO TELL Missions team members took the Gospel to Costa Rica the week of July 18-25. Many were led to Christ through the street evangelism, feeding the poor, ministering to orphans and preaching in a local church. Thank you for your prayers and financial support in helping us fulfill the Great Commission in this third world country. Plan now to join us on GO TELL’s missions trip to Costa Rica next July 2012. It will change your life!